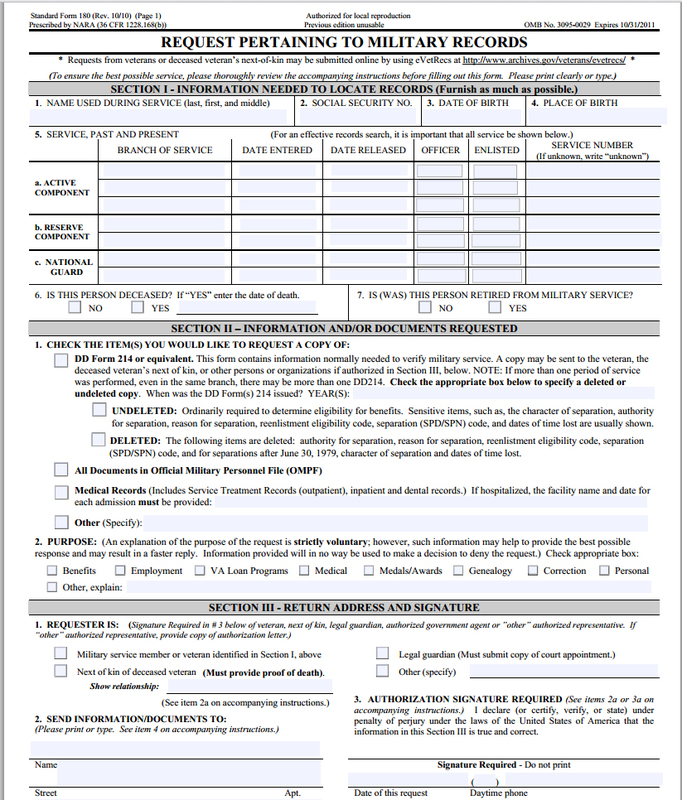 DD214 is the Discharge Papers or Separation Documents to include Military Service Records or Proof of Military Service. I get calls daily for this request, but a3Genealogy only does Military Record search for genealogical purposes. If you are looking for genealogical assistance in gaining military records, for example Civil War, Revolutionary War, etc, feel free to e- mail your request to a3genealogy@gmail.com. Please know that between 16-18 million Military Personal Files were destroyed or damaged in the fire of 1973 at the St. Louis National Personnel Records Center. This fire destroyed about 80% of Army records from Nov. 1 1912 to Jan. 1 1960; and 75% of all Air Force records from Sep. 25. 1947 to Jan 1. 1964. For more information on the damage please refer to The 1973 Fire, National Personnel Records Center. If you are searching for records of a living person in order to get discharge information for social security, medical care, dependent care or VA benefits to include home buying, a3Genealogy performs these services under our Private Investigator Services. 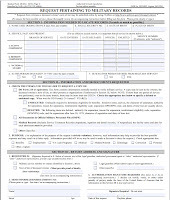 Visit Military Record Request Using Standard Form 180 (SF-180).